Arthur Antony, son of actor Babu Antony is making his tinsel town debut with Aashiq Abu's upcoming movie 'Idukki Gold'. 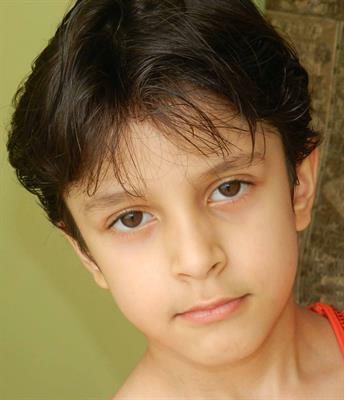 A student of standard 3, Arthur would don the role as Babu's son in the movie. For more excitement Babu Antony's wife Eve Galia will also play a French national, an important character in 'Idukki Gold'. Arthur, a student of Cochin Ambalamugal School studying in 3rd standard would don the role as Babu's son in the movie. He has also lent his voice for Philip and Monkey Pen. Arthur Antony, son of actor Babu Antony is making his tinsel town debut with Aashiq Abu's upcoming movie 'Idukki Gold'. A student of standard 3, Arthur would don the role as Babu's son in the movie. For more excitement Babu Antony's wife Eve Galia will also play a French national, an important character in 'Idukki Gold'. Arthur, a student of Cochin Ambalamugal School studying in 3rd standard would don the role as Babu's son in the movie. Eve Galia born and brought up in USA is a Russian citizen who has shown her talent in music too. Having a Masters Degree in Western Classic, Eva Galia is a pianist and music director too. Arthur has also lent his voice for a song in 'Philip and Monkey Pen' under Rahul Raj's music direction. Even though Arthur was invited to don the lead role in the movie, due to age constraints he was not fit for the character. Blessed with multi talents, this youngster is much fluent in languages such as Russian, English and Malayalam. Idukki Gold has already been stamped as one of the most hyped movie which tells the tale of 5 friends who are influenced by an important person in their life. The movie will feature Lal, Raveendran, Babu Antony, Maniyanpillai Raju and Vijayaraghavan in lead. Babu Antony had entered the hearts of the malayali audience through his brilliance in martial arts. It is much exciting to hear the news about Arthur's debut while Babu Antony is riding high completing 25 years in film industry. Making his entry into world of entertainment with Bharathan's Chilampu has acted in more than 70 movies. It is also known that Babu Antony would be seen soon in a new avatar, directing 'Piano'. Eva Gali will be the music director and also be singing two songs too.